Notre Dame de Lourdes Catholic Church in Casablanca, Morocco, was built between 1953 and 1956. 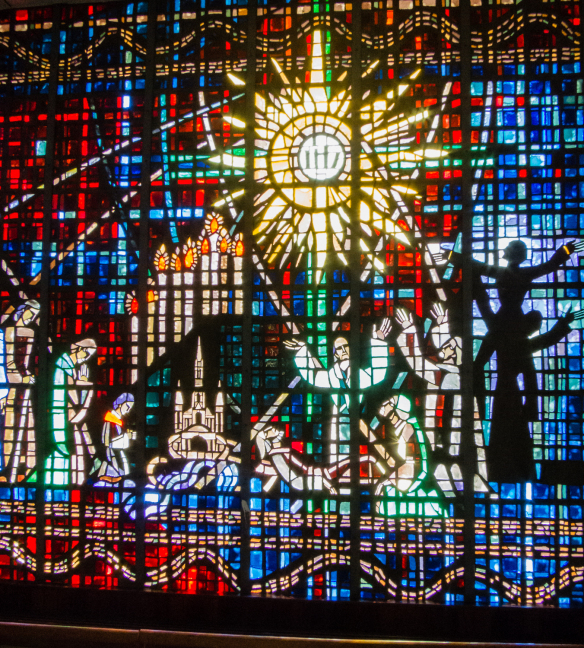 It is one of the only two Catholic Churches that in Casablanca (the other one is the Sacred Heart Church). The cathedral’s imposing white concrete façade looks more like a warehouse than a church and a simple white cross is the only hint to its purpose. 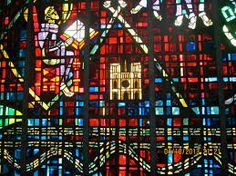 The main attraction for visitors is the spectacular stained glass windows, the work of Gabriel Loire, a famous French artist. They are cut on a red and blue colored background, reminiscent of typical Moroccan carpets, and represent different images of the Virgin Mary. 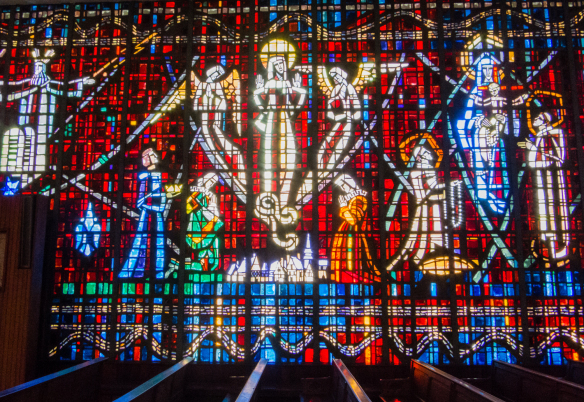 The absolutely breathtaking stained glass windows of the church are what capture everyone’s attention. 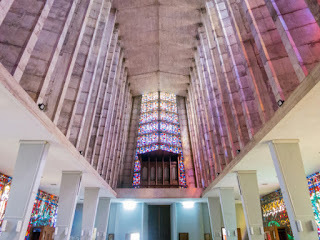 The open, airy interior is lit up by the colored beams of light that filter through these stained glass windows which cover the entirety of both side walls – giving a window surface area of over 800 square meters (8600 square feet). 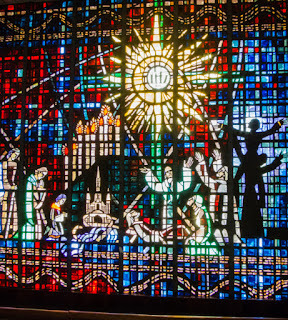 These are such beautiful examples of Stained Glass throughout the world! That's all for today! May sunshine fill your day.